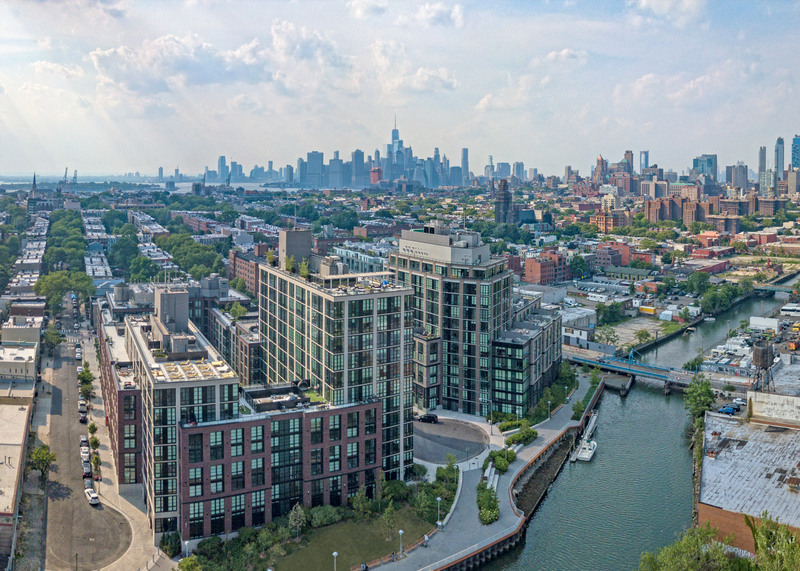 363 Bond sits on the Gowanus Canal at the edge of historic Carroll Gardens and this edgy industrial neighborhood that is quickly becoming a destination. 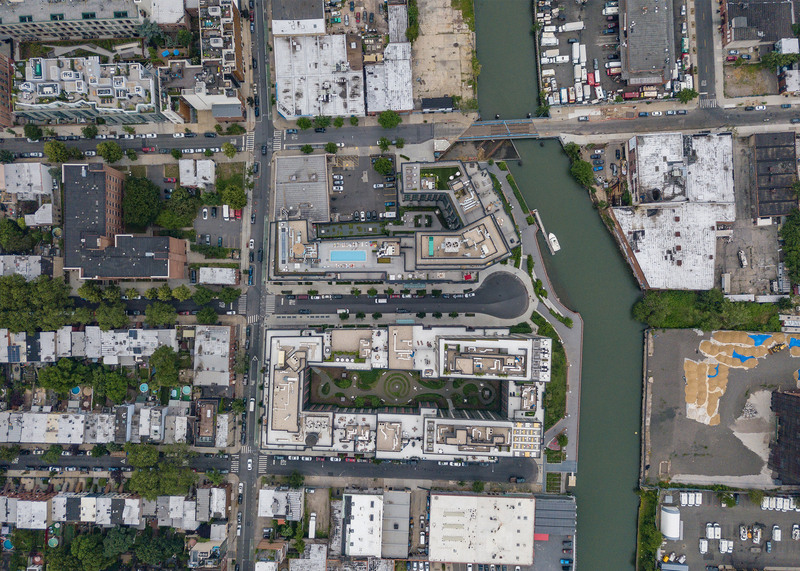 363 and 365 Bond were originally designed as a 2-block development on the Gowanus Canal. Designed as a complementary pair, each building stands alone. The facades relate and both buildings look and act like a series of buildings working in tandem to create a well-balanced neighborhood. 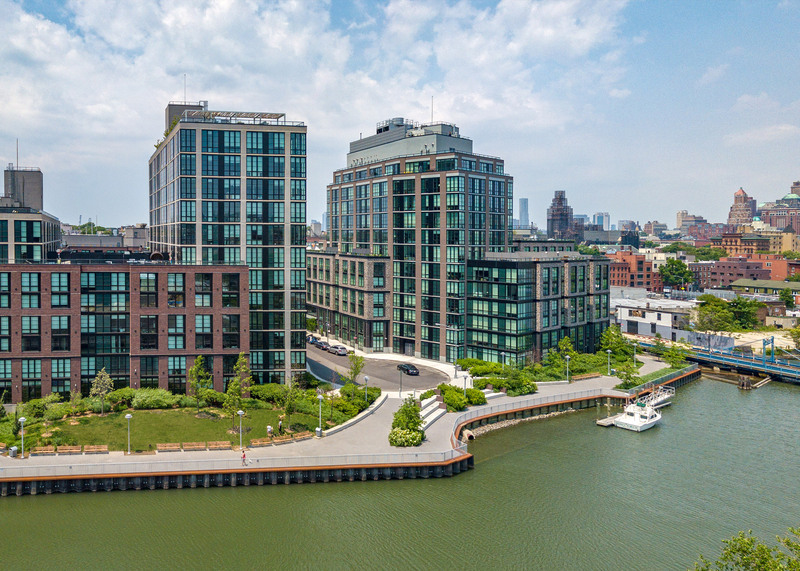 The buildings both front a richly landscaped public esplanade designed by Brooklyn landscape architect Lee Weintraub and are adjacent to the historic Carroll Street Bridge. Each building however, has its own identity. 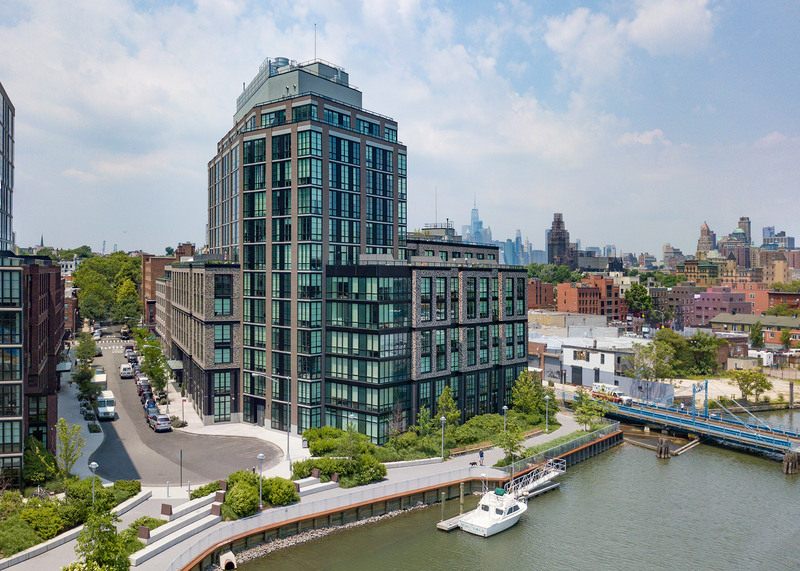 363 Bond draws from the industrial language of the Gowanus warehouses but uses greyish brick to differentiate itself from typical red brick buildings. The building mass is broken into elements that allow it to feel more in keeping with the townhouse scale of neighboring Carroll Gardens. One portion of the building acts as townhouses, with direct entry from the street, front stoops and planters. The tower portion of the mass sets back at 1st street and at the Canal and has a glass corner for open views over the water and the surrounding neighborhood. As one approaches the site from across the historic Carroll Street Bridge, there is a restaurant and terrace planned as well as commercial space that services the community. The aim of this building is to enhance the neighborhood and to provide a livable community center for a younger generation. Residents will have large-scale, mullioned windows in their units along with such luxury touches as stone sills. The amenity package includes a pool on the 6th floor roof with a view of the Freedom Tower, a shuffleboard court, lounge, game room, yoga, fitness center, kids room, a 2nd floor courtyard and plenty of accessible outdoor terraces. 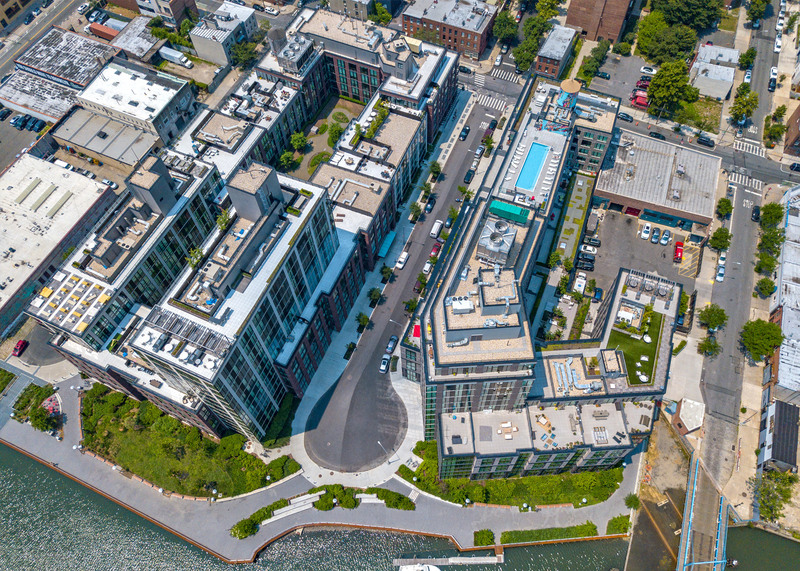 Both in conjunction with 365 Bond Street and on its own, 363 Bond adds to the neighborhood’s resources and allows First Street to become a zone of community interaction. © 2017 Hill West Architects. All rights reserved. We collaborate with our affiliated interiors firm, Whitehall to create holistic buildings that are as thoughtfully designed on the interior as they are on the exterior.